The historic Boston Red Sox, who ended the 2018 season with a 103-59 win/loss record and a World Series title, would enter the new season with high expectations surrounding the young and aggressive roster. However, the reputation shrouding the team would not be indicative of what was to come of the first twelve games. These games could be described as inaccurate when pitching, hesitant when batting, and uncomfortable when fielding. Although not equal factors amongst each other, all serve in combination for explaining the slow start of a 3-9 win/loss record. But should we worry? Last year’s World Series Champions began the 2019 baseball season on March 28 after a mediocre spring training session. 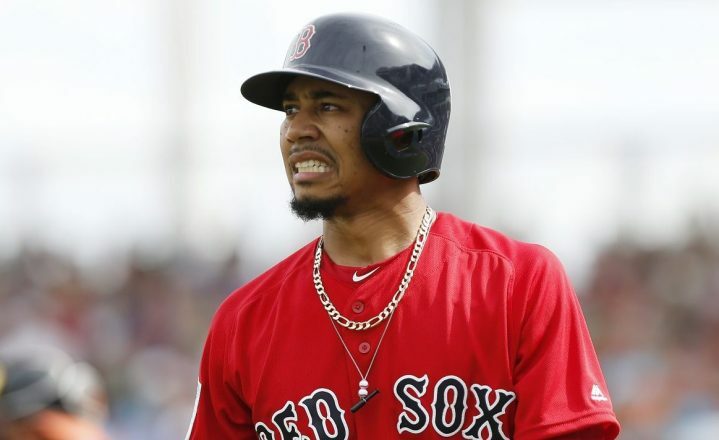 Spring training is usually not reflective of the regular season, but it seemed to bleed into the opening series against the already 2-0 Seattle Mariners and even more into following series against the Oakland Athletics and Arizona Diamondbacks. The starting pitching has caused the most amount of issues for the Red Sox so far-forcing them into difficult positions when trying to close out games. Without winning sessions from the starting pitching, our chances of having a successful game becomes very slim. For a starting pitcher to receive a win on his record, he must pitch at least five innings and have a score lead at the end of his session, if the pitcher is taken off the mound before five innings, the win or loss could then be earned by a relief pitcher. As of April 10th, the Red Sox starting pitchers have a combined win/loss record of 0-8 with three starts from Chris Sale (9.00 ERA), two from Nathan Eovaldi (8.10 ERA), Rick Porcello (13.50 ERA), David Price (6.00 ERA), and Eduardo Rodriguez (12.38 ERA), and a single start from Hector Velazquez (3.12 ERA). As you can see, the earned run average [ERA] for each pitcher is extremely high with an exception from Hector Velazquez’s start. The story for the majority of the first twelve games has been a strong first and second inning, followed by an inning or two where several runs would be given up by the pitching resulting in difficult comebacks and the eventual loss. Although our batters have been trying their best to keep up, the high ERAs would keep the Sox from taking any leads late into the game. Looking at the three series, it’s easy to say that the cause for the rough start was having 11 consecutive away games. A trip like this is never easy when you aren’t given a chance to rest in-between games. This week and a half long stretch of games got the Red Sox and its fans desperate for the big return to Fenway Park against the Toronto Blue Jays for the Home Opener. The strong start by Chris Sale instantly vanished as the Red Sox would let in two runs in the third-inning and another three in the fourth, giving the Blue Jays a 5-2 lead. During the bottom of the sixth inning, Mookie Betts hit a solo home-run over the Green Monster followed by an RBI double by third baseman Rafael Devers to keep it at a one-score game, giving Red Sox a sign of hope going into the final innings. Unfortunately, Toronto would hold onto their lead and end the game 7-5. Sale continues in a defeated but relaxed tone summarizing the pitching issue hindering the Red Sox and taking most of the blame and reassuring fans that he is fine and healthy. It’s clear here that the Red Sox understand their issues and are trying their best to fine tune what they have. Although reflective of last year, this is not the same caliber of team that we witnessed last season. It will be important over the next few games to see strong pitching and how it guides the rest of the roster and results. We shouldn’t panic yet, but it is key for the Sox to establish momentum within the next fifteen games if they want to remain a competitor in the American League East.